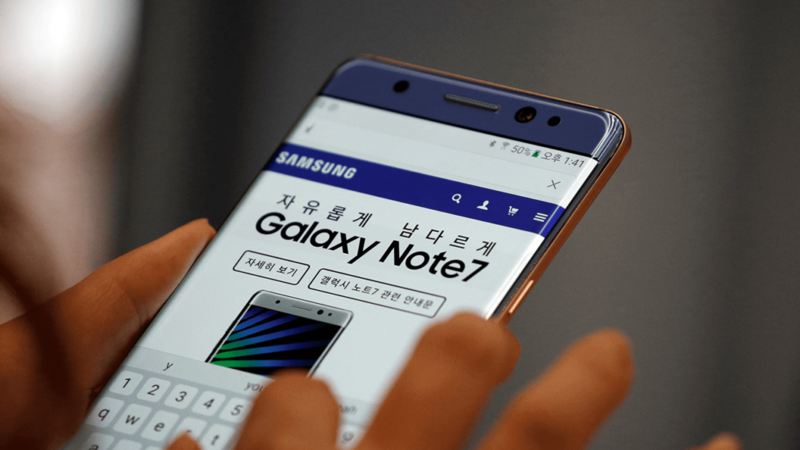 Samsung Galaxy S8 already doing great business for Samsung while Samsung Galaxy Note 8 still has time to show up on the Samsung Shelves and to fill the gap in between Samsung is going to launch Refurbished Galaxy Note 7R. Surprisingly, Galaxy Note 7R is already on sale in China. 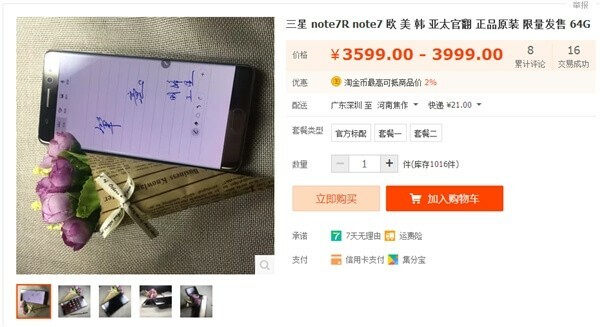 A Galaxy Note7R (R for refurbished) listing appeared on a Chinese retailer’s website ahead of the actual announcement. The back of the phone has an “R” symbol engraved on its back. While Galaxy Note 7R has been offered in two variants, one with 3,200mAh battery (aimed at Europe, the US, and Asia Pacific), and the other with 3,500mAh battery (same as the original Note7 at time of launch). There is no need to panic as the battery has been modified to prevent any explosions. Other than this there is no change as such specified anywhere, the design of the refurbished model is pretty much the same as originally Note 7. It comes with 5.7-inch Quad HD AMOLED Display, powered by Quad core Qualcomm Snapdragon 820 along with 4GB Ram and 64GB Storage as well as 12MP Dual Pixel camera. As per the pricing is concerned, the device is priced at the equivalent of $521 USD. Another model, priced at the equivalent of $580 USD. At this age of technology, Samsung Galaxy Note 7 is still powerful enough to give you great experience and performance. What do you say? Share your thought in our comment section.